The second-generation McLaren Super Series, which will be unveiled on March 7 at the 87th Geneva International Motor Show, is set to redefine expectations of supercar capability with phenomenal stopping performance to equal its extreme acceleration. Reaching 200km/h (124mph) in 7.8 seconds, McLaren’s new supercar can then brake to a standstill in just 4.6 seconds and 117 metres – six metres less than the 650S and almost on par with the legendary McLaren P1TM *. 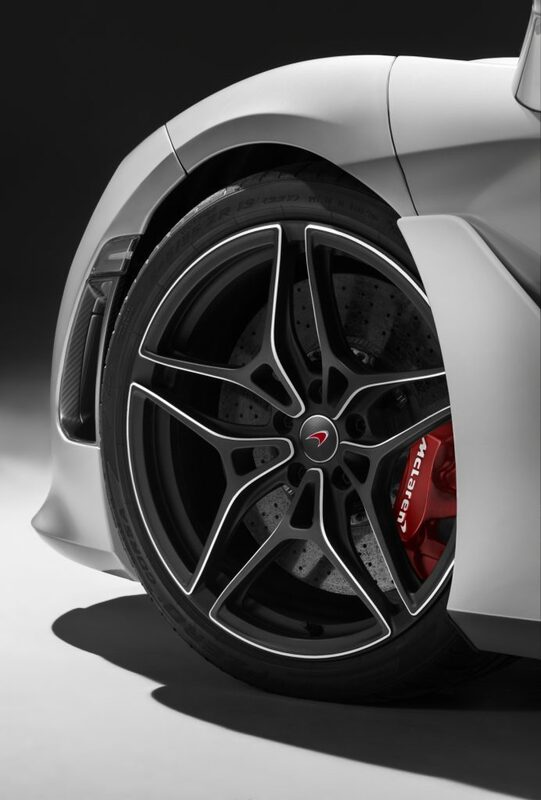 The exceptional braking capabilities of the second-generation Super Series were perfected during the most rigorous development programme of dynamic technologies ever undertaken by McLaren Automotive. 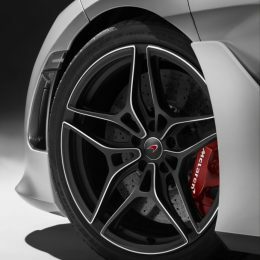 Lighter, stiffer brake calipers, carbon-ceramic discs as standard and optimised brake pedal feel and modulation at the limit are key elements in delivering the incredible stopping power, with tyre performance also critical. Working in close co-operation with Pirelli, McLaren engineers developed a new, bespoke Pirelli P Zero Corsa tyre for the second-generation Super Series that supports a six per cent improvement in mechanical grip compared to the McLaren 650S. The Corsa tyre is one of a range of Pirelli tyres developed specifically for McLaren’s new supercar, all of which provide superb driver feedback as well as ensuring extreme levels of grip and braking performance.